Kalie Kawaguchi is currently in the third grade and has been playing from the age of 5. In August 2016 Kalie received First Class Honors in Preparatory A Piano from the Royal Conservatory of Music. In July 2017, Kalie moved up to Level 1 Piano and also received First Class Honors from the Royal Conservatory of Music. Kalie entered her first competition (Junior Artist Piano Audition-Level 1) in October 2017. 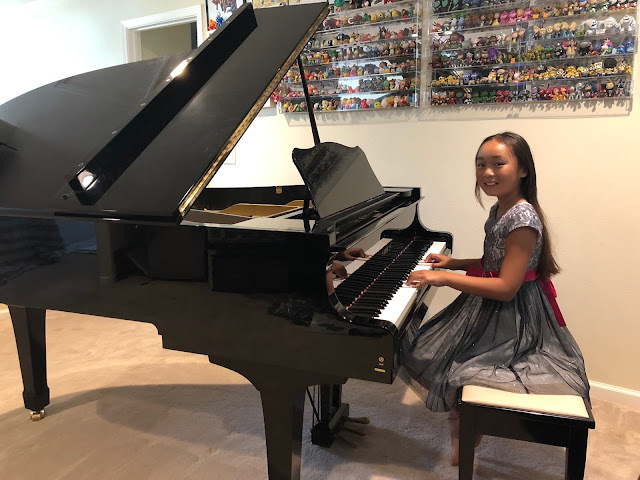 Kalie received Honors in Level 2 Piano from the Royal Conservatory of Music in September 2018. She loves to play the piano and is looking forward to completing Level 3 Piano. When she is not playing the piano, Kalie loves to play soccer, dance hula, and swim.